I’ve known only one hero in my life, a Dane named Knud Dyby. I met him through mutual friends, Eric Saul, Lani Silver, and Solly Ganor. 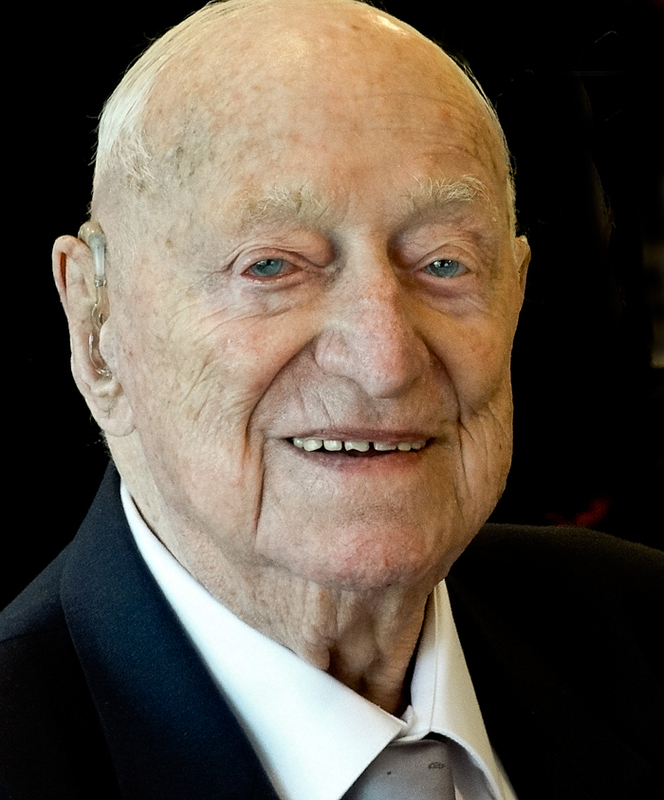 Knud died on September 8, 2011, at age 96. Before his death, Knud lived in a modest aluminum-sided home tucked away in the hills north of San Francisco. There were large paintings of sailors in small boats on every living room wall, the same paintings which once adorned the walls of his parents’ home in Denmark. There were other memories of times past in these rooms. 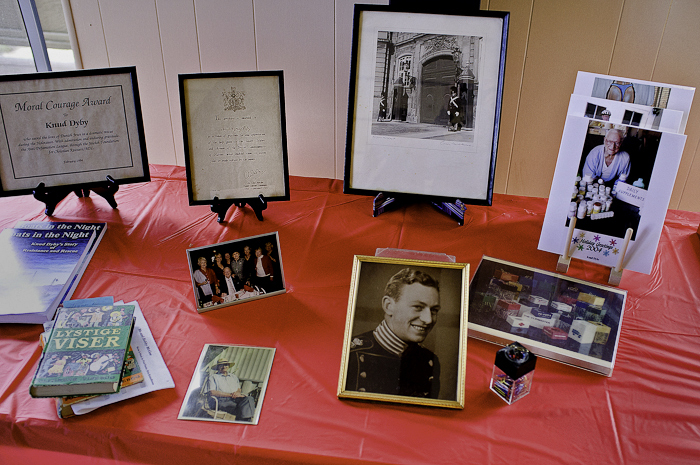 Photographs, commendations, ribbons, pieces of uniforms, all mementos of Dyby’s World War II experiences. And tucked into a small display case was a medal from Yad Vashem, Israel’s Holocaust Memorial. 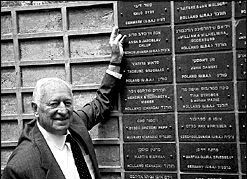 In 2004, Israel awarded Knud Dyby the title “Righteous Among the Nations” for his courage, bravery and humanitarian actions. This is an honor reserved for non-Jewish men and women who displayed exceptional courage as they risked their lives during the Holocaust to save Jews from extermination by the Nazis. Dyby was a modest man. 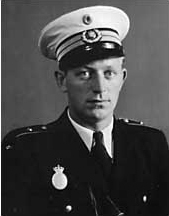 Although he was honored many times for his activities in the Danish underground during World War II, he insisted that he only played a small part in his country’s resistance efforts. Although he talked about himself with great reluctance, he spoke with enthusiasm and pride about the actions of ordinary Danish citizens when German soldiers came searching for Denmark’s Jews. I’m interested in how people reacted to the atrocities of World War II, particularly when faced with grim life-or-death choices. In the instance of European Jews during Hitler’s reign of terror, it seems most civilians did little or nothing as their neighbors were rounded up and sent to internment camps, often to their deaths. There were resistance fighters in most occupied countries, but their numbers were tiny compared to the majority of citizens who watched Nazi atrocities from upstairs windows. You can say that in most situations, self-interest trumped altruism. An exception to the rule of indifference or self-interest was the collective citizen resistance in Denmark. This small nation showed the world that it is possible for ordinary people to stand firm against the forces of evil. But pressure on the German occupation continued to increase within Denmark as sabotage and other forms of resistance to the Nazis escalated. The Germans, frustrated in their inability to intimidate Danish resistance, declared marshall law. There were a series of crackdowns as the Gestapo tightened its noose around little Denmark. Then, in September, 1943, frightening news spread throughout the country. A German diplomat, Georg Ferdinand Duckwitz, informed the Danes that Hitler had decided to round up and deport the country’s Jews beginning on October 1. The “Final Solution” was coming to Denmark. But his training and experience as a Royal Guardsman turned out to be anything but frivolous. He would soon find ways to put this early training to unexpected uses. As a police officer and avid sailor, he had access to information vital to the underground. He knew the best hiding places near the fishing coves. And he knew the patrol routines of the German navy along the best sea lanes between Denmark and Sweden. This information was critical in planning the hundreds of dangerous crossings that took place under his direction. When the news spread of Germany’s intention to round up Denmark’s Jews, the county quickly mobilized. The evacuation began in dark and rainy October. 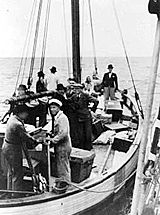 Within three months (some accounts say two to three weeks) individual citizens and small groups were able to smuggle nearly all of the nearly 8,000 Jews living in Denmark across the narrow body of water between Denmark and Sweden. A number of underground organizations in both Denmark and Sweden worked together against the Germans. Ordinary Danish citizens played a major role in these efforts and sheltered Jews from the Gestapo in every conceivable nook and cranny. Hospitals were favorite hiding places, harboring approximately 1,000 Jews. As a police officer, Dyby was able to move freely as he arranged rescue operations. As grim as the situation was, there were moments of humor. Dyby liked to tell the story of the nurse who asked a doctor what to put on the chart of a particular Jew she found under the sheets on her ward. “German Measles,” said the doctor. Dyby was a member of the Danish-Swedish Refugee Service, a group responsible for transporting 1,888 people to safety. Not all of these people were Jews; there were Allied airman, saboteurs, Baltic refugees and others fleeing the Nazis. 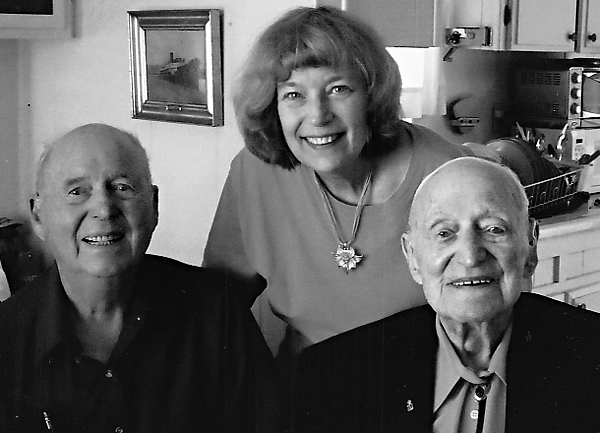 From 1944 until May 4, 1945, Dyby “managed” five fishing skippers. They crossed the sound between Denmark and Sweden hundreds of times with mail, money, weapons, intelligence information, news and refugees. His last efforts were for a large group of Estonians. But what happened in Denmark was different. Denmark was the only occupied country that went out of its way to protect its Jewish citizens. 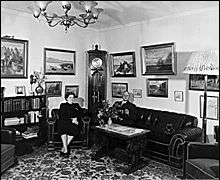 Unlike other European Jews who found that their homes had been taken away, their property destroyed, when Denmark’s Jews returned after the war they found that their homes and property had been protected by their non-Jewish neighbors. The cultures and situations in each country occupied by Germany during World War II were different. And yes, Denmark was a small, rather homogeneous country. Dyby arranged hundreds of rescue crossing in small fishing boats. When asked about the extraordinary efforts of his countryman, Knud Dyby was hard pressed for words. The heroic efforts of his people seemed to him to have been the only natural response. Danes, he said, had always been loyal to their friends and neighbors, and that is exactly what the Jews of Denmark were. They were not considered different or outsiders. They were a natural part of the Danish nation, just people who happened to practice a different religion. The Danish experience makes it possible to believe that people in other lands could have more effectively resisted the brutalization and extermination of millions of Jews and other innocents. If there was such a thing as “altruistic national character,” during the war years, Danes reigned. Knud Dyby is survived by his brother Sven and daughter Susanne. Knud Dyby table at memorial, November 6, 2011, Novato, California. A heartfelt story. Thank you. I think this proves that we always have a choice. The question is, “Are we willing to sacrifice in order to make the hard choice?” too many times, we are not. I think it’s important to act as though we have choices, even though in some social/psychological sense,this may not always be the case.